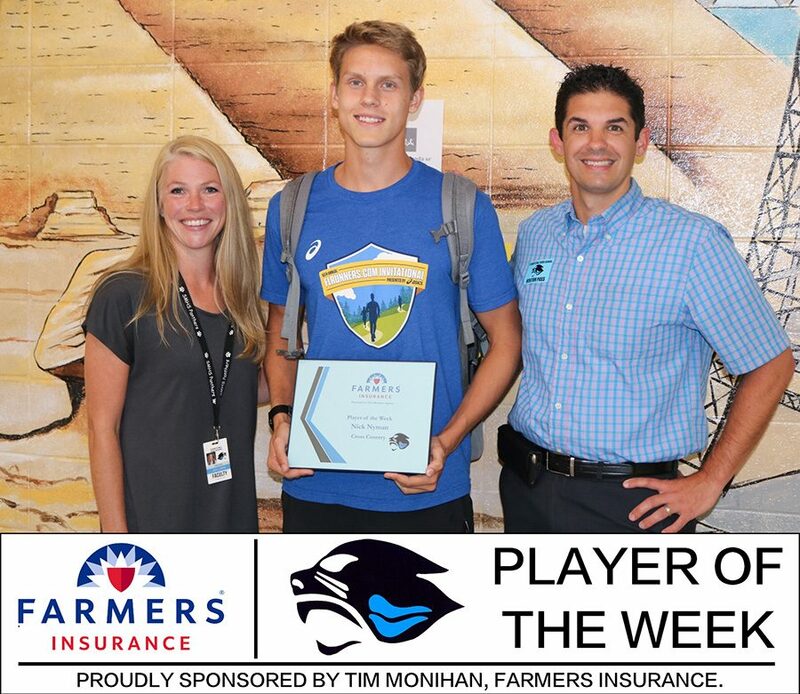 Tim Monihan from Farmers Insurance in Peachtree City presented senior cross country runner Nick Nyman with the seventh Farmers Insurance Player of the Week award. “Running hard and trying can lead to good things,” Nyman said. Nyman, the 2017 GHSA AAAAA state champion, has continued his dominance in the 2018 season, finishing first in the Carolton Invitational on Sept. 8 and second at the Providence Invitational on Aug. 25. In the AT&T Panther Invitational, hosted by Starr’s Mill at Heritage Christian Church, Nyman finished fourth out of 253 runners with a time of 16:10. The cross country team runs this weekend in the Wingfoot Cross Country Classic in Cartersville, Ga.